« Poetry: A Window to the Soul? And tons of other creative and imaginative projects to stimulate your child and aid their development. Art can help a child develop their feeling skills whilst craft will develop their thinking and coordinating skills. Simple tasks involved in arts and crafts such as using a pair of scissors, holding a paintbrush or pencil, using a stencil and practising handwriting are essential to the growth of motor and fine coordination skills in children. The great thing with learning these simple tasks, especially from a younger age, means that children can use these skills in other areas of their day-to-day lives; brushing their teeth, getting dressed, eating by themselves, putting on their shoes and tying their shoelaces for example. 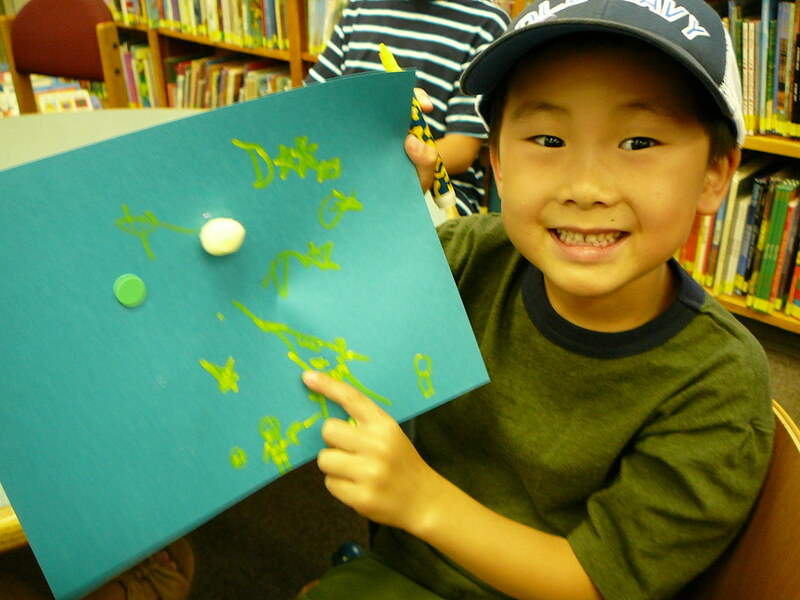 Young children enjoy making and creating art and they love talking about it. By expressing themselves when speaking about the different activities they are creating, they are learning new words continuously. Younger children have the opportunity to learn about the different colours, shapes, sounds and actions whilst older children can learn and use more descriptive words to emphasise their feelings or views when creating new styles and unique creations. With art and crafts children are forming new skills and with these new skills comes the added benefit of improving their academic skills. Simple art creations can have an amazing effect on the way your child may understand something that normally would have been difficult for them. For example, counting the number of beads or paper-clips they may need for their creation can aid them in understanding mathematical concepts. Writing a story of their own and using new and descriptive words enhances their vocabulary and reading skills whilst instilling a fondness for literature. Encouraging children to do things by themselves and encouraging the process of inventing and creating something new will certainly help them develop their characters and have a clearer understanding about what they like or dislike. Children that are encouraged to believe in their own creativity will take this creative energy into their adult lives. When creating something, whether it be a piece of art-work, a home-made advent calendar or a great craft project they have decided to make for their bedroom, children will be faced with various decisions along the way. Choosing colours, materials, tools and equipment will mean they need to explore their creativity and use their problem solving and thinking skills. Arts and Crafts inspire and encourage children (and adults!) of all ages to improve in all areas of their growth and development. Every creation, every project and every piece of artwork your child will work on and produce will exert their creativity and allow them to express themselves in new and wonderful ways. This is also a beautiful way to record and understand the change in your child's growth and improvement. Arts and crafts learning offers children a variety and choice that other subjects cannot and touches parts of their characters that allows them to express themselves in ways that you would otherwise have missed. Anna has been a private tutor of both English Literature and English Language for fifteen years having taught all levels from nursery school right through to university level. She has a BA (Hons) Degree in English Literature & Modern Languages, is a writer, content marketing executive and a busy mother of four lovely children.